Online tee times are not availabile for Santo Antonio. Please select your preferred tee time and we will call the course within 1 hour to check availability. 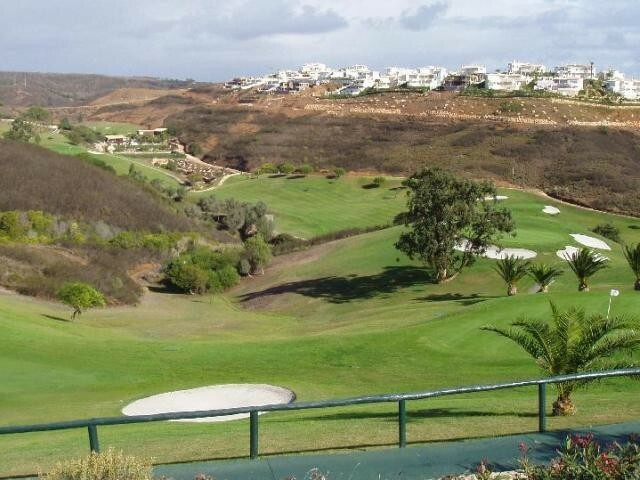 The renamed Santo Antonio course from Parque da Floresta is located in the most western part of the Algarve. The architect of this course has created a fascinating course that presents visually attractive views of the surrounding countryside lined on the horizon by the sea. 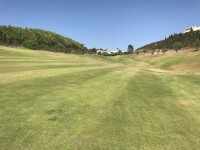 The fairways of the Santo Antonio Course rolls up and down through hills demanding accurate shots and good placing. The Par 3 fifteenth hole of 159 metres is a golfer's dream. Players will find the combination of both fairly steep fairways and possible crosswinds will be quite demanding. Mooie baan , clubhuis wel aan een update toe .ik kreeg pas 30 minuten voor de ronde mijn buggy .deze heb je echt wel nodig. De medewerker aan de receptie mag wel wat vriendelijkheid uitstralen .het had geregend en we moesten op de cart paden blijven ook al lag de bal bijna aan de andere kant . Zeer vermoeiend spelen . soms leek ik wel een bergbeklimmer. Maar dat lag meer aan mijn spel. Maar al met al een leuke baan. Superb course in fantastic condition. Hiring of buggy is a little confusing.....I would recommend a trolley......very hilly but there are fairways you can't take the buggy down making it very awkward when you're down a valley....pick the wrong club then have to walk back up a steep incline to pick another club.....next time it'll be a power trolley. Fantastic and challenging course!! 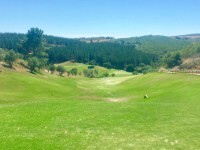 Very undulating, narrow, blind holes, uphill and not for golfers looking for a leisure game. I personally love it even though I played poorly and my partner absolutely hated the course. 13th hole is stunning with fairways like a narrow valley and the pine trees backdrop framing the green looks picture perfect!! There are plenty of ups and downs. The course is not long but the transitions are. The greens are in good shape. The course was full. I played first front nine and when I came to ten, there was a long queue. Somehow I got past many of the really slow groups. I recommend a buggy. Price was good. They've made very good use of the hilly terrain. Yes, it is resort golf but it's well kept, the greens were good and some of the holes were fun and some were spectacular. Thoroughly enjoyed it. 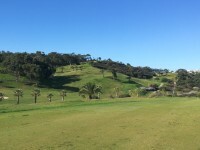 To post a review, score or a notice on Santo Antonio page's or to connect with other Santo Antonio golfers, please log in to your account or sign up using Google or Facebook.